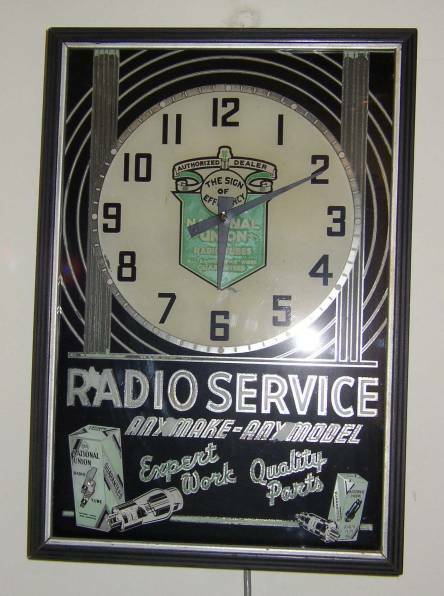 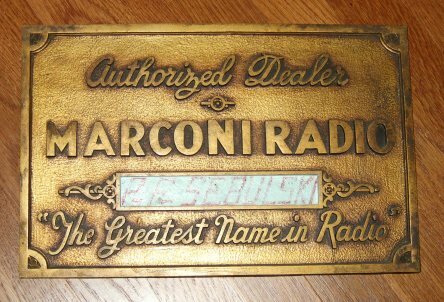 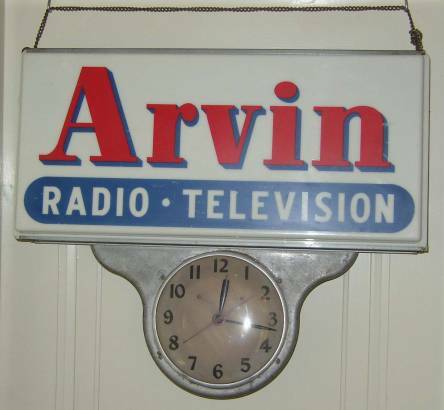 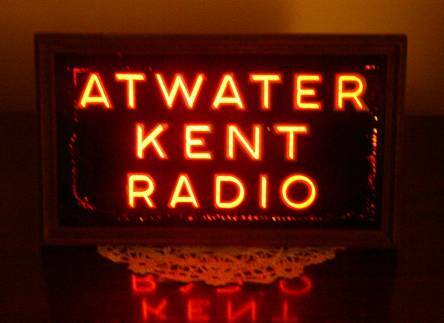 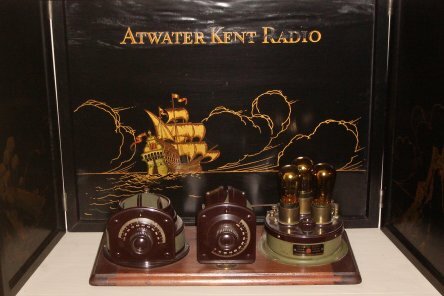 Arvin Radios & Television clock. 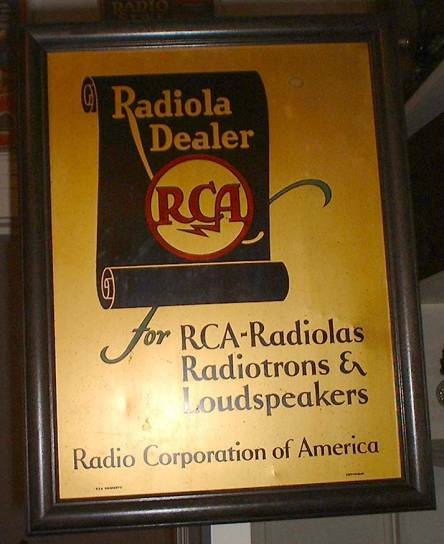 A National Union Tube authorized dealer. 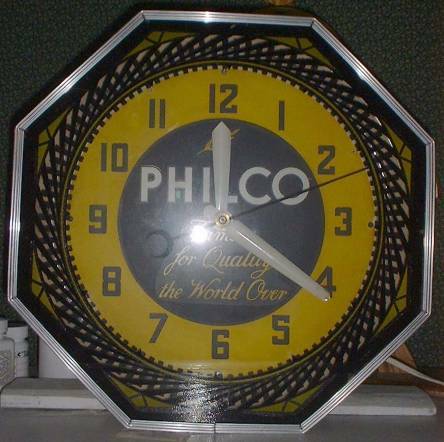 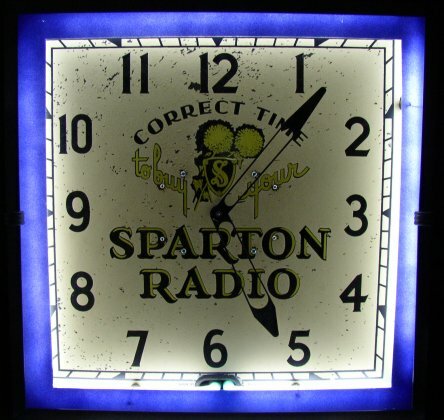 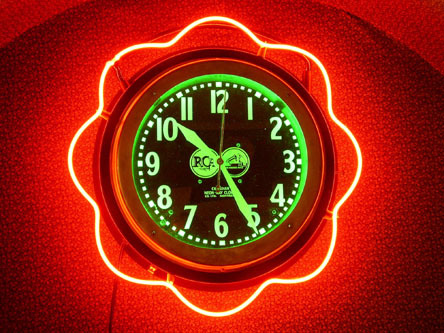 A working Philco neon spinner clock. 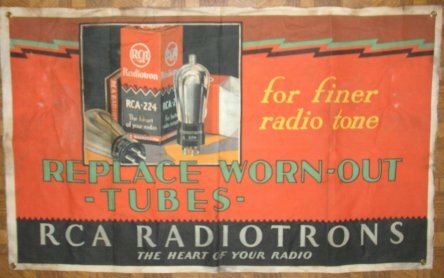 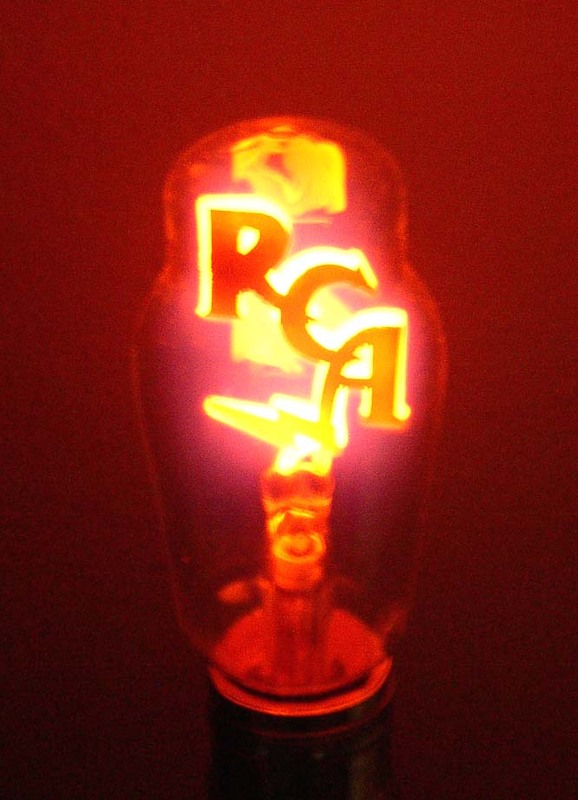 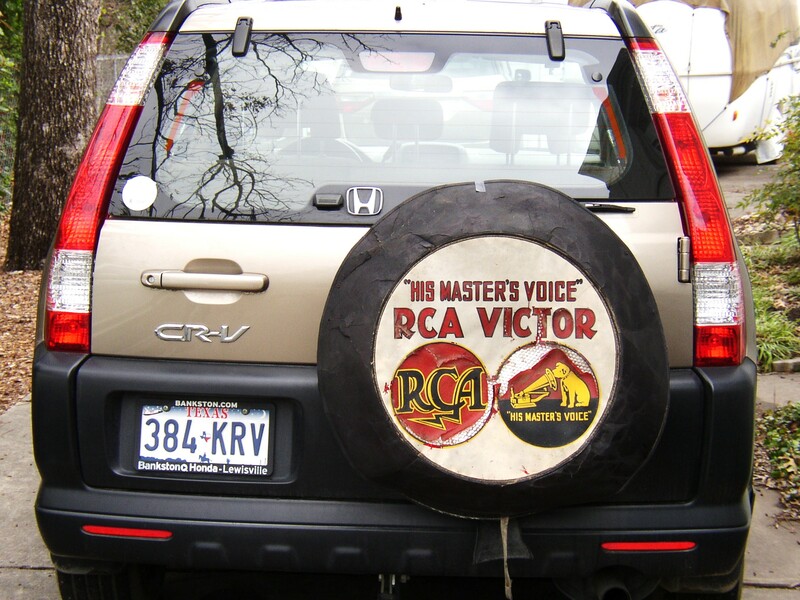 Beautiful red cloth banner advertising RCA tubes. 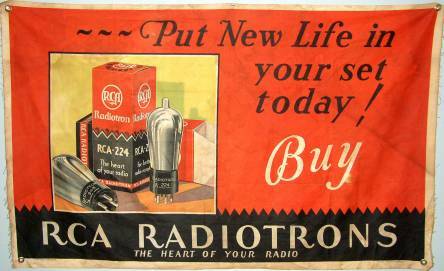 Sylvania radio tubes advertising thermometer.